Pembroke Pines, Florida is quite possibly the most attractive, family-friendly hometown in Broward County. 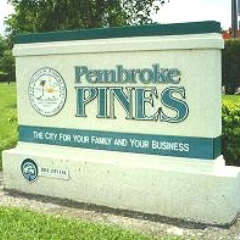 Since its incorporation in 1960, Pembroke Pines has developed into a booming city for businesses and residents. The city has more than 150,000 residents, making it one the most populated cities in Broward County. Pembroke Pines offers residents and visitors exceptional parks, A-rated schools and a wide range of shopping centers with big-name stores such as Toys R Us, TJ Maxx, Old Navy and Super Walmart. As Broward County continues to expand, Pembroke Pines remains at the forefront of the county’s prosperity.